Que hora son?–inspired by a Paloma cocktail, grapefruit juice is turned into grapefruit water through a gel agar clarification process that involves mixing the grapefruit juice into a gelatin that is then run through a small sieve (this process was perfected by Dave Arnold a famous mixologist in New York City). 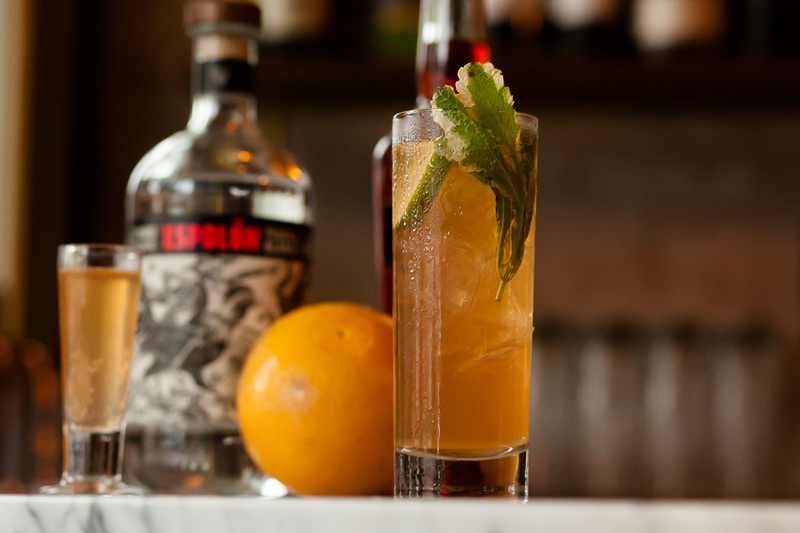 The grapefruit water is mixed with aperol, triple dry, Espolon Blanco tequila, salt, malic acid, honey syrup, and phosphoric acid. It is then put into bottles where it is carbonated prior to being served with lime and pineapple mint. 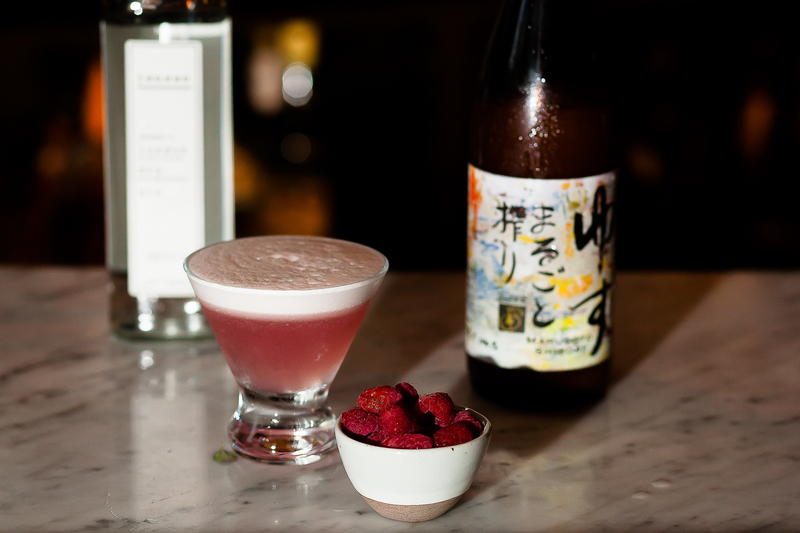 Clover Kyu–a combination of Jensen’s dry gin, fresh made black raspberry syrup, egg whites, and Yuzu. Sour Cherry Gel Cocktail Shooter—gelatin mixed with Leopolds Bros Maraschino Cherry Liquor is set for several hours. 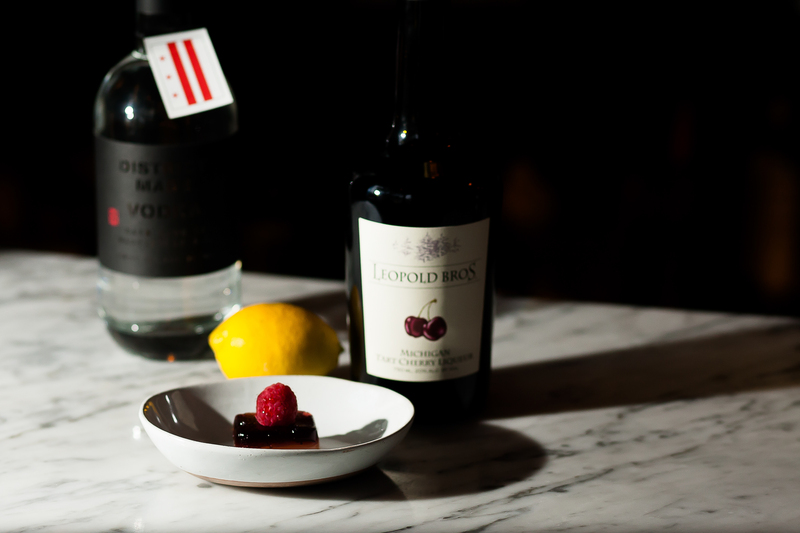 More gelatin is mixed with lemon-infused Ivy City gin, lemon juice, and sugar–this is then poured over the other gel (the cherry one from the fridge) until both set together. The resulting gel cocktail is served with a raspberry on the side. 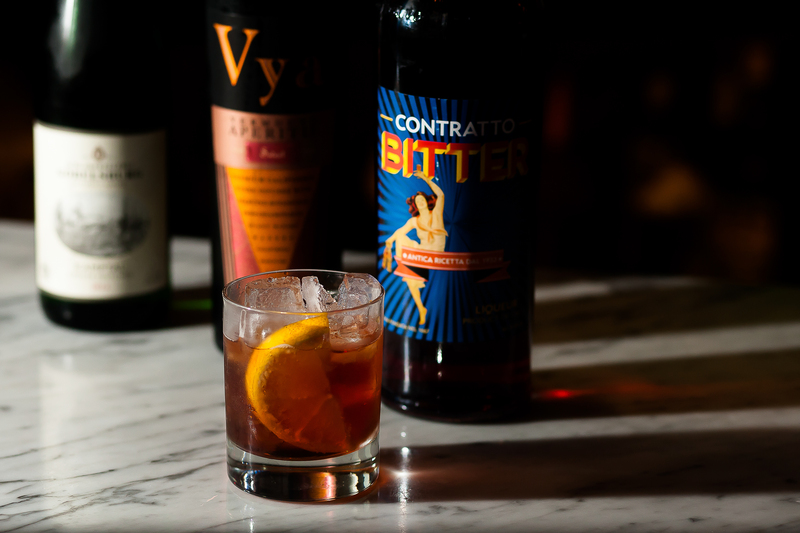 DC Harvest Negroni Sbagliato–a variation of a classic Negroni. A mix of two Contratto liqueurs: one liter of Bitter mixed with four liters of Aperitif. The combination is then added to five liters of Vya Sweet Vermouth and five liters of a modest dry vermentino before being chilled and placed in a custom keg that force carbonates it. Once it is carbonated, it is served as a draft cocktail.